With it's uncompromising technology, reliability and self-contained architecture, Honeywell's Lynx Touch L7000 is an easy-to-install security system. This Honeywell Lynx Touch L7000 wireless security system kit includes; (1) wireless control panel L7000, (3) wireless door/window contacts 5816WMWH, (1) wireless pet-immune motion detector 5800PIR-RES, (1) remote 4-button keyfob 5834-4, (1) Wifi alarm communicator L5100-WIFI and (1) cellular LTE alarm communicator LTE-L57A. 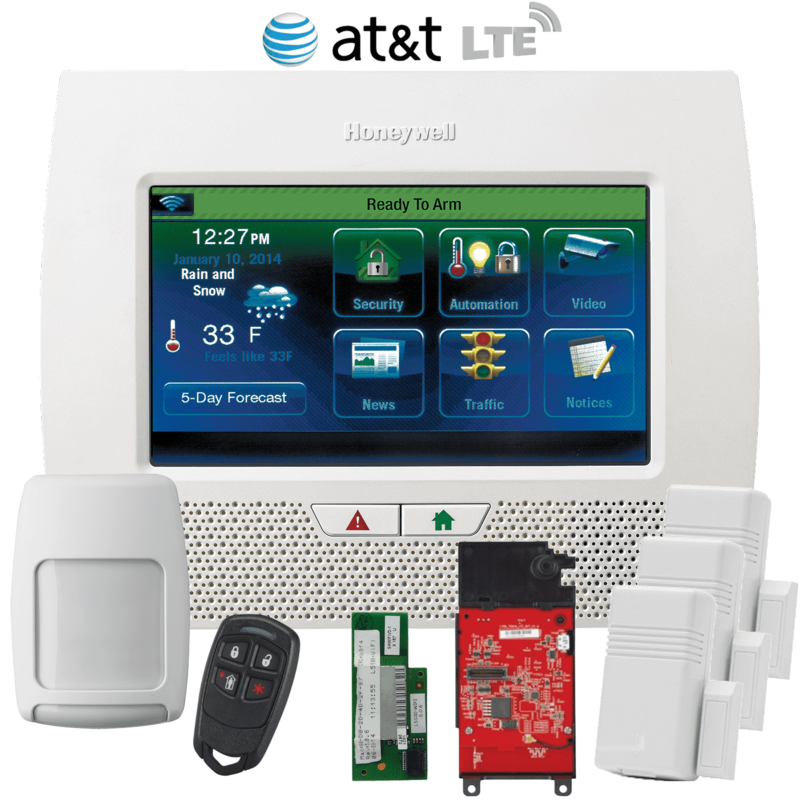 With dual-path communications, the Honeywell wifi module L5100-WIFI serves as the primary communication path, and if down, the wireless cellular module LTE-L57A provides the backup AT&T LTE communication path for your Honeywell Lynx Touch control panel to send data to the AlarmClub central monitoring station.